Crescendo DVD is now available in Poh Kim Video Stores. 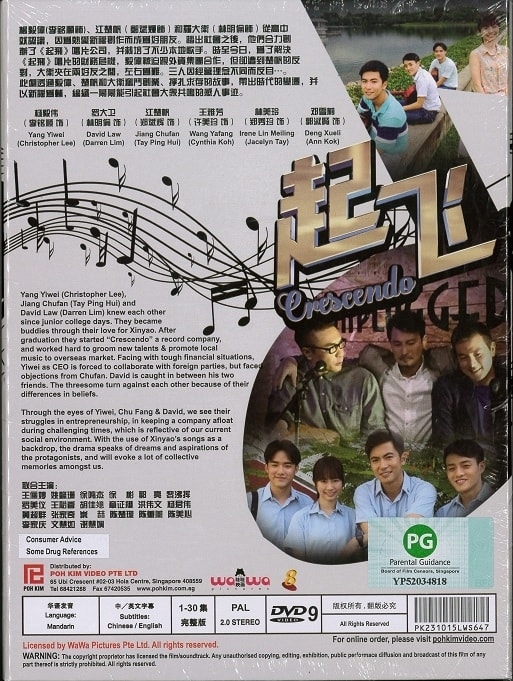 Crescendo Synopsis : Crescendo is set against the backdrop of the Xinyao Movement, synonymous with the pursuit of dreams of a young generation of Singaporeans in the local music industry, and a part of Singapore culture many still hold dear. 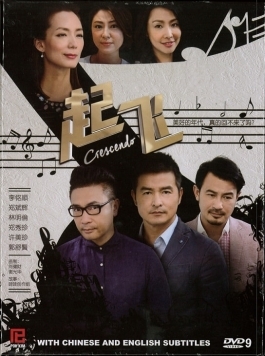 Crescendo follows the story of a group of Singaporean music enthusiasts as they manoeuvre the unpredictability of the local music industry, forced to look global to stay in business. The protagonists get to a stage where passion alone is no longer sufficient to sustain a business. 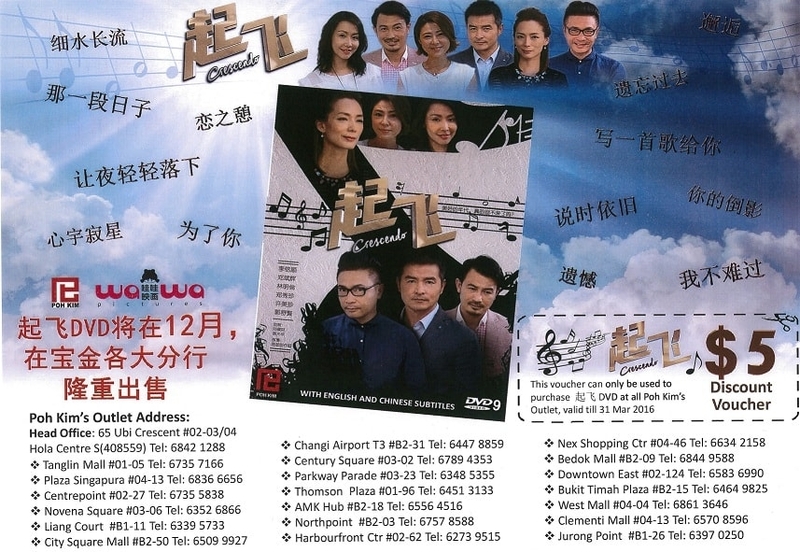 Their experience is closely reflective of Singapore’s own development. What does it truly take to survive?